08:00 - 08:30 hrs. Pick up time from Hotel to Park Hopper and Pier. 08:30 - 08:45 hrs. Arrive at Park Hopper and Pier for tour information. 08:45 - 10:30 hrs. Explore by speedboat to Monkey Beach. Enjoy the greatest snorkeling. 10:30 - 11:30 hrs. Relax on Phi Phi Don Island or sightseeing. 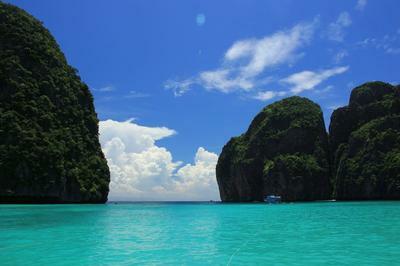 Loh Samah Bay and Maya Bay. 13:00 - 14:30 hrs. Back to Phuket and having lunch at Park Hopper and Pier. 14:30 - 15:00 hrs. About time to arrive at your Hotel. 11:00 - 11:30 hrs. Pick up time from Hotel to Park Hopper and Pier. 11:30 - 12:00 hrs. Arrive at Park Hopper and Pier for tour information. 12:00 - 12:30 hrs. Having lunch at Park Hopper and Pier. 12:30 - 14:30 hrs. 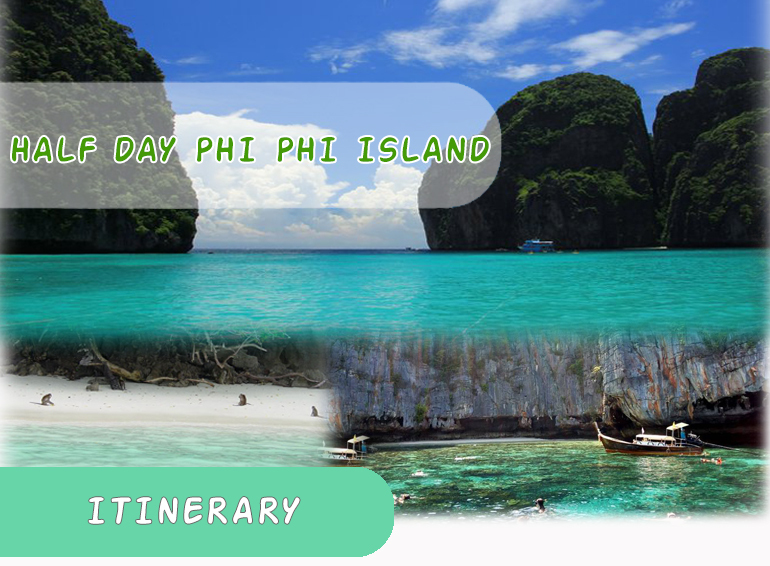 Explore by speedboat to Monkey Beach. Enjoy the greatest snorkeling. 14:30 - 15:30 hrs. Relax on Phi Phi Don Island or sightseeing. 17:30 - 18:00 hrs. Back to Phuket. 18:00 - 18:30 hrs. About time to arrive at your Hotel.